While gamification has been in use for corporate training for several years, there is still a lingering doubt on its impact. In this article, I share 7 gamification techniques for corporate training that work! What Gamification Techniques For Corporate Training Still Work? Higher learner motivation (to participate and complete). Apply their learning on the job (by providing them practice zones featuring scenarios, similar to what they will handle in real life. Here, the learners can practice and hone their skills in a safe environment). A longer-term implementation of gamification techniques can influence behavioral change. So, How Can You Make Gamification Techniques Work In Corporate Training? Let’s take a step back and identify what the expected gains are from any learning strategy. Identify barriers (intrinsic or extrinsic) that might be hindering the required changes and thereby improve the learners’ motivation levels. Generate interest in learning by providing relevant and personalized learning paths. Create effective learning experience using scenarios, simulations, and challenges. Provide feedback for performance improvement that can help learners pause and think or recalibrate their way forward. Use rewards and recognition to sustain the learners’ momentum and motivation, and ensure that learners walk away with a sense of accomplishment. Implement repetition and reiteration for successful change in behavior. What Is the Impact You Will See If You Apply the Right Gamification Technique For Corporate Training? How Can This Value Be Delivered? Instead of just having simple badges and leaderboards for each challenge, you can put the learner through a more complex narrative that can truly challenge him or her. The narrative is selected based on the content type, learner profile, and is aligned to the learning goals. Personalization holds the key to the learner’s attention, engagement, and motivation. You can use mobile apps for learning to offer a personalized learning path that is aligned to the learner’s goals. Thereby, it is relevant and more engaging. You can use a combination of learning strategies to gain higher impact. For instance, the usage of immersive techniques like a Virtual Reality (VR)-driven learning path that is gamified will surely multiply the impact and help you meet the learning goals. Behavioral change requires the use of gamification over a long period of time. You can use this longer-term learning path to have milestones over successive weeks/months/quarters. Alongside, plan for a periodic assessment of learners’ progress (against the required outcomes) that can range from learning acquisition, its application, or a behavioral change. To make the learning journey more engaging, you can add immersive approaches like Virtual Reality or wearable tech in your fold. Give the learners a “bite-sized” gamification experience. Offer personalized learning and gaming paths for learners. Let the learners collaborate with peers or experts and address challenges or solve problems, much the same way they need to in real life. These can be designed to offer customized learning paths and elements of gamification, microlearning, and social learning. This Seems To Be Too Good To Be True; Is There A Catch? Over the years, I have seen several views (or misconceptions) associated with gamification techniques for corporate training. I share 5 myths and contrast them with facts to highlight how you can make gamification techniques effectively work for corporate training. Gamification in eLearning doesn’t really help learners learn. Gamification is not just about having fun. Much like traditional eLearning, it can be used to meet specific learning outcomes. As I have highlighted, you can map the learning goals to a gamified approach to gain better engagement. It also creates a far more sticky learning experience. The use of gamification techniques over a period of time will influence learner behavior as well. Gamification cannot drive learner performance. Several aspects of learning, including retention, an application on the job, as well as behavioral change can be influenced by gamification. The Next-Gen gamification techniques for corporate training (highlighted earlier in the article) show you exactly how this can be achieved. Gamification doesn’t provide real value to learners and businesses. Both learners and businesses see value in this approach at several levels. Learners love it as learning is fun, challenging, and rewarding. L&D teams find value in it on account of its wide application across varied corporate training needs. The correct gamification technique can help them deliver their goals (learning, its application, or behavioral change). Gamification can provide an effective approach to drive learning. This is on account of its inherent features that resonate with learners and help them perform better. Gamification appeals only to Millennials. The correct usage of gamification techniques will ensure that it will be well received across the multi-generational workforce. I hope this article will help you use gamification techniques extensively for your corporate training and my 7 gamification techniques for corporate training will help you make it work well for you. The post 7 Gamification Techniques For Corporate Training That Work appeared first on eLearning. Gamified Microlearning Activities: How To Boost The Impact Of Your Corporate Training. Today, the use of gamification cuts across most of the corporate training needs ranging from induction and onboarding, soft skills training, professional skills training, application simulations training to compliance training. From its early avatar as performance support or just-in-time learning aids, today microlearning based training is being used across the majority of corporate training needs. It is being used to offer formal training, and it continues to be the preferred choice for job aids/learning aids. It has also made inroads into supporting ILT/VILT. With the maturing of these techniques, a logical extension is to leverage on the combination of both approaches. In this article, I outline one of the ways through which you can use the combination. I outline how you can use gamified microlearning activities to boost the impact of your corporate training. Before moving on to the specifics of the combination (gamified microlearning activities), let me outline the strengths of microlearning and gamification techniques for online training. Microlearning is short, focused, bite-sized training that is typically 2-7 minutes long. It is not eLearning lite. Instead, it is designed to be a nugget that meets a specific learning outcome. The microlearning nuggets can be designed to be consumed as a stand-alone nugget (as a job aid/learning aid designed to help learners at the moment of their need), or as part of a learning path featuring several such nuggets (typically for formal training). The microlearning nuggets can also be used to support ILT/VILT programs. 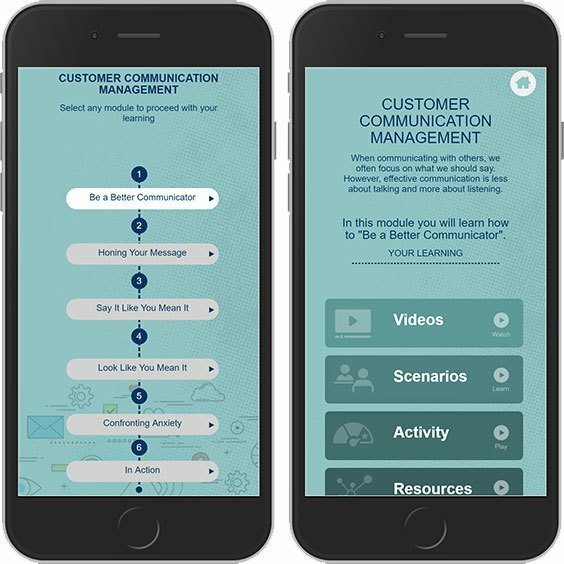 Microlearning is typically offered in the mobile learning format (although, it will support other devices too), enabling learners to consume the learning on the device of their choice and on the go. It features high-impact, engaging formats notably, animated videos, interactive videos, infographics, interactive infographics, and so on. What Is The Relevance Of Microlearning Today? The primary trigger for the adoption of microlearning was the need to meet the challenge of diminishing attention spans. But, this is not the only factor in its favor. As we see a change in the pattern of how learners want to learn, microlearning based training provides a great way to match the learners’ preferences to learn. It resonates with learners on account of the fact that it can be consumed on the go, and it will help them achieve a specific learning goal. In a world where we need to multi-task all the time, microlearning based training can be consumed in the midst of other commitments. What Is Gamification And The Value It Brings In For Learners And Businesses? Gamification is the use of principles and key elements of gaming to deliver the required learning objectives. Unlike traditional eLearning, the operative words in this approach are “fun as you learn.” Driven by a narrative, the learning path is interspersed with learning assets, challenges, levels, instant feedback, scores, badges, and leaderboards. A highly engaging approach, gamification for serious learning helps L&D teams achieve learning outcomes through a more engaging journey. An effective gamification strategy provides higher completion rates as well a better recall and retention. It can be used with equal success to apply the learning at work as well as help learners upskill. What Are The Benefits Of Gamified Microlearning Activities? Gamified microlearning activities are one of the approaches that can help you leverage on the combined value of gamification and microlearning. Gamified microlearning activities are aligned to the 70/20/10 model of learning. 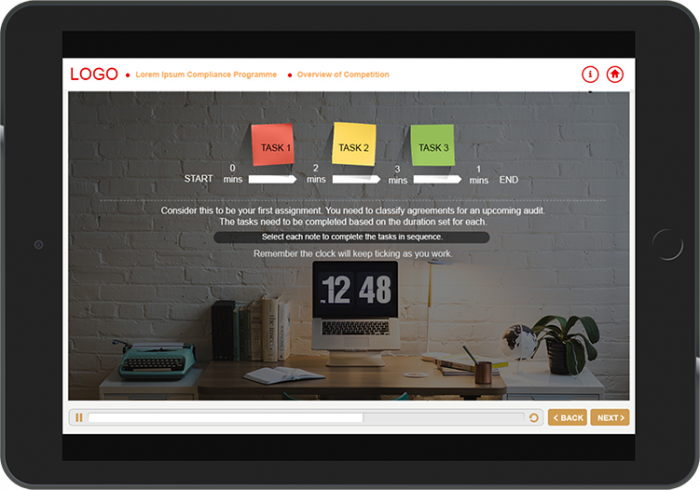 You can use microlearning gamified activities for formal training, for performance support (just-in-time learning aids), and to facilitate proficiency gain. The nuggets can be designed to offer highly experientialtraining. You can also leverage on social or collaborative learning. Gamified microlearning activities offer short, focused tasks leading to learning, problem-solving, application of learning, practice, proficiency gain, and so on. 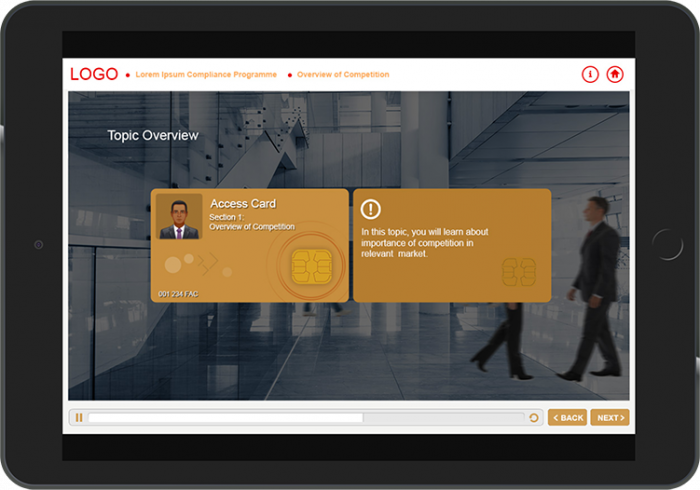 How Can You Use Gamified Microlearning Activities To Boost The Impact Of Your Corporate Training? I recommend a simple 3-step process that you can use to leverage on the combined power of microlearning and gamification. The combination of gamification and microlearning techniques can be done in multiple ways. I am outlining 4 examples that show how you can use gamified microlearning activities. Microlearning nuggets can be woven into a highly relevant and personalized learning path. You can either gamify the learning path or have individual nuggets that feature gamification. All microlearning topics have points associated with each of them. A dashboard is accessible to the learners to view their progress through the topics and their performance in achieving points, badges, and expertise levels. The gamified learning journey can offer a personalized performance indicator that can aid learners to focus on further improvement. You can nudge the learners to achieve this through gamification elements (points, badges, and recognition). An emotion meter and stars achieved at various stages of the gamified activity. Through the performance indicator, the required cues are provided to learners on the improvement areas so that they can gain more points and achieve badges. The remediation or reinforcement nuggets can be offered in a microlearning format that can be gamified. The challenges can be offered as microlearning nuggets that have gamified scenarios and assessments. The practice sessions to improve the skills can be gamified microlearning nuggets (can be offered in a stand-alone mode or connected through a gamified learning path). 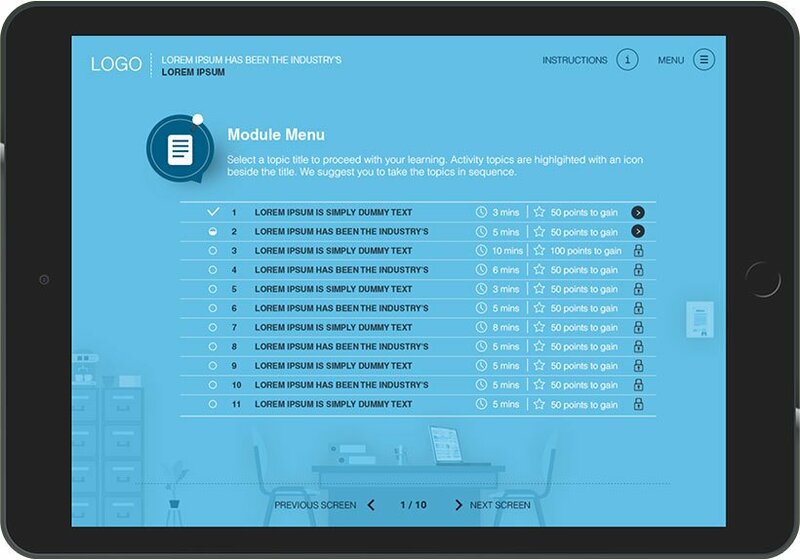 A microlearning based learning path consisting of various types of nuggets, including gamified practice activities and scenarios. It also offers recommended learning nuggets based on learner performance/behavior. Besides offering the microlearning nuggets for formal training as well as job aids or learning aids, you can also offer curated assets. To encourage learners to go through them, you can use gamification elements such as points and badges. Curated assets that provide more information and deeper knowledge on the topics covered in the main learning path. These too have points allocated to them for completion and adds to the overall points tally for the learner. 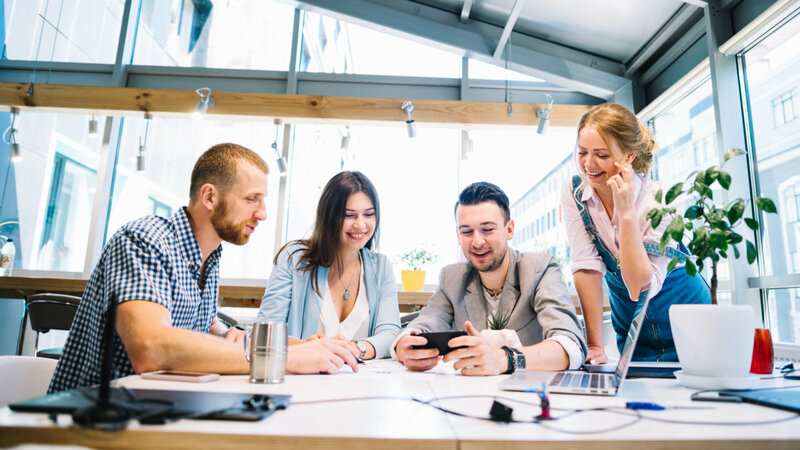 As you would have noted, the combination of microlearning and gamification in the format of gamified microlearning activities can be used in many ways to boost the impact of your corporate training. In this article, I have touched upon a few facets of how you can leverage on this combination. In this endeavor, you are limited only by your imagination. The post How To Use Gamified Microlearning Activities To Boost The Impact Of Your Corporate Training appeared first on eLearning. Gamification for learning provides highly engaging and immersive learning experiences. In this article, I outline how you can enhance its impact further by using personalized gamification techniques. From a debatable impact of using gamification for serious learning, this is one technique that has come a long way. It is now accepted as an effective learning strategy to create highly engaging learning experiences. The application of learning on the job. The practice for proficiency gain. These courses are fun, motivating, challenging, and have highly rewarding experiences. Instant feedback gives them the required cues if they are in line or need to make changes to successfully meet their mandate. Individual scores keep them motivated and push them to complete all levels. Leaderboards show how they are faring against other team members, and this too helps them in maintaining the focus of winning and successful completion. This approach allows them a safe practice zone until they reach the required proficiency level. Multiple challenges (mapping to learning goals) and progressive levels (mapping to proficiency gain) help them gain skills plus a sense of accomplishment and achievement. It appeals to all learner profiles. This is important as most organizations have a multi-generational workforce today. It provides a sticky learning experience (leading to a higher recall and retention). It can be used for most of the corporate training needs (for formal training, as Performance Support, or to supplement the ILT training). Furthermore, the trainings can be designed to offer experiential and social or collaborative learning experiences. It can be used in various formats—from the application of learning to triggering behavioral change. How Can You Enhance The Engagement Of Gamification-Based Learning Further? One of the NextGen gamification techniques, that is, using personalized gamification can be used effectively to increase learner engagement further. As we know, “one size does not fit all”, and the same holds good for training. Learners today are an impatient lot. They want to spend time on trainings that are specially designed or curated for them so that they can maximize the gain on the time spent. Personalization of training is the customization of training so that it is aligned to meet a specific learner’s needs. A highly learner-centric approach, personalized learning makes the training sessions highly relevant to the learners leading to high engagement. While the concept (personalization of training) has been in existence since the 1960s, its usage in online training is relatively new. In this article, I leverage on some of the techniques that are used to offer personalization in online training and outline how you can adapt them to create personalized gamification and achieve higher learner engagement. Select the device they wish to learn on. Take the learning at their own pace. Select their own learning path. Select the kind of interaction levels they feel are relevant to them. Obtain personalized feedback and use it to assess their progress and plan further. Use the offered recommendations to enrich their learning path. This option could range from an avatar selection to the kind of learning nuggets he or she wants to select (with audio/without audio, or pdf vs video and so on). They can select the learning path that makes sense to them. This could be based on their area of interest, their current proficiency, or what their role demands. The learner should be able to select the learning path based on his or her interest, existing knowledge, the region he or she operates from, or the demands of his or her role. There are several NextGen gamification techniques that enable you to improve learner engagement. One of them is personalized gamification that enables you to offer highly customized, relevant gamified experiences to your learners. Personalized gamification can recommend a specific learning path that would be most relevant for the learner, or you can provide the control to the learners to craft their own learning path. 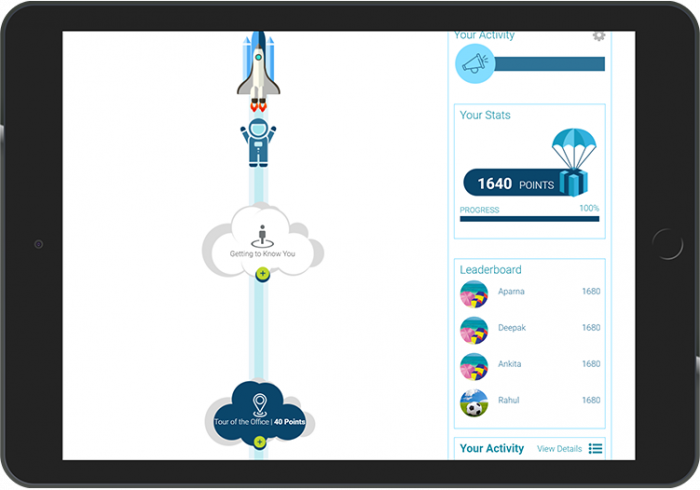 Personalized gamification can go beyond the simple scores/badges or leaderboards by giving them cues on their performance against learning goals. Personalized gamification can offer recommendations to offset gaps or tips on how to build their skills further. Personalized gamification can also be used effectively to drive changes through specific call-to-actions that support the learners in achieving their learning mandate. Based on the learner’s area of interest or expertise, personalized gamification can enable him or her to continue the learning connect even after the primary training is over. 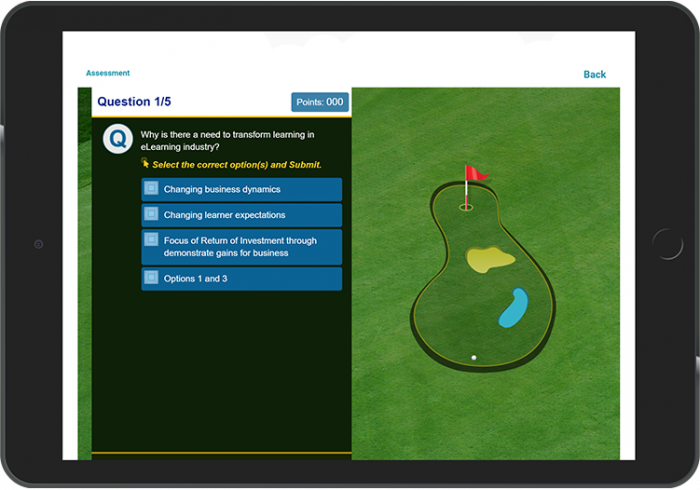 Gamified nuggets, delivered as challenges (for instance, scenario-based assessments) or learning aids (Performance Support Tools), keep the learner connect live and create a highly engaging learning experience. To summarize, while gamification intrinsically provides an approach that offers high learner engagement, it is techniques like personalized gamification that can help you step-up the learner engagement quotient further. I hope this article provides the required insights on both the edge that gamification for learning provides and how you can enhance its impact further with personalized gamification that will increase learner engagement further. The post How Personalized Gamification Can Increase Learner Engagement appeared first on eLearning. With the maturing of the usage of Gamification for learning, there is a buzz on Next Gen Gamification solutions. In this article, I share 4 possibilities on the Next Gen Gamification solutions that can build upon your current approaches. Gamification for serious learning has made steady progress in the last 4-5 years and is being acknowledged as an effective approach for various types of corporate training. Learners love gamification as it provides the element of “fun” with serious learning. Organizations see the value in its usage for sticky learning, the application on the job, the practice and nudges to mastery, and for driving the required behavioral change. What Are NextGen Gamification Solutions? With the maturing of gamification techniques, the focus is now shifting towards NextGen gamification solutions. From simple points or badges and leaderboards, you have more complex narratives that engage and challenge the learners. The NextGen gamification solutions also leverage existing approaches like apps for learning or microlearning to offer personalized and more challenging learning experiences. Similarly, several immersive strategies like VR with the integration of gamification concepts can be used to multiply the impact. In this article, I touch upon 4 of the NextGen gamification solutions that you can use to uplift and enhance the impact of your corporate trainings. Before that, I outline some of the basic aspects of gamification, its definition and benefits. Gamification is all about using principles and key elements of gaming in a manner that they can create the required learning experience. The learning is highly engaging, challenging, and “fun.” The approach needs active participation from the learner and, thereby, creates a more sticky learning experience. A master narrative/story: This maps to the objective of the learning journey, and the narrative makes it real and relatable to the learners. Challenges: These map to the learning goals. Levels: These form the learning path and map to various proficiency levels. Instant feedback: This aids the learners’ progress and provides them with a clear view on where they stand. Scores: These help learners get a feeling of achievement and as they view other’s scores, it brings in healthy competition. Badges: They serve as elements to award significant achievements. Rewards: They serve as an element to engage and incentivize the learners and keep them going on the learning path. Collaboration tasks: These elements can be used when you have a team-based approach in gamification to facilitate collaboration within a team. Leaderboards: These are the analytics elements that give learners a clear view of their own progress as well as how they are performing against others. What Are the Benefits Of Gamification? Who doesn’t like rewards or recognition? All of us would acknowledge the impact of these two factors in keeping us motivated. Higher engagement: Gamification offers an engaging, challenging, rewarding, and fun-filled learning journey. Creates a more sticky learning experience (higher recall and retention): It creates a more sticky learning experience as the learner is fully engaged in various tasks and challenges rather than a passive learning approach that a more traditional eLearning approach offers. Can be used to trigger behavioral change: By integrating scientifically proven techniques like repeated retrieval and spaced repetition over a period of time, you can trigger the required behavioral change. Provides a safe environment to learn problem-solving and practice toward proficiency gain: Through real-life situations that are gamified, you can ensure learners learn to solve problems and practice in a safe environment till they reach the required proficiency level. 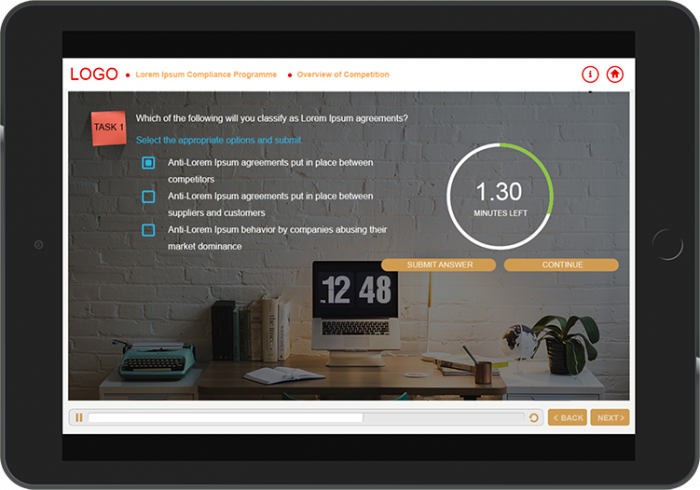 Provides instant feedback: An instant feedback helps learners understand their gap areas or make mid-course corrections so that they can meet the overall mandate. How Can You Use Gamification Optimally? What Are The NextGen Gamification Solutions You Can Use? The NextGen gamification solutions build up from the existing and current approaches of gamification. Now, you can leverage the successful learning strategies to multiply the impact of gamification. To provide a personalized learning path. To provide real-time tracking of the learner’s performance. To enable learners to assess how they are faring against the goals they need to meet (in real time). Learners can also check on how other team members are faring and how they are faring vis-à-vis others. To provide real-time feedback to the learners on the go. To offer triggers or calls to action. Short gamified nuggets aligned to a larger mission offered over a learning path. You can either weave in the concepts of levels (proficiency gain) or use the stand-alone nuggets as individual challenges or practice sessions. You can augment gamification into VR environments. For instance, enhancing the scenarios in a VR environment by gamification elements will create a highly immersive approach. Such combinations will enhance the impact of the learning manifold and can be successfully used to impart new skills or drive in the required change. You can use a variety of gamified aids to support the ILT (assets before the workshop, scenarios/role plays during the workshop, and practice sessions post the workshop). Clearly, gamification is reshaping corporate training today. If you haven’t used gamification, this article will give you the required insights on why you should adopt it. If you are already using gamification for learning, the article would provide pointers on some of the Next Gen gamification possibilities. The post 4 NextGen Gamification Solutions To Enhance Your Corporate Training appeared first on eLearning. [Free Webinar]How To Enhance Your Corporate Training With Next Gen Gamification Solutions – Register Today! With the maturing of Gamification techniques being used for online training (for serious learning), the focus is now shifting towards Next Gen Gamification solutions. The Next Gen Gamification solutions also leverage on existing approaches like Apps for learning or Microlearning to offer personalized and more challenging learning experiences. Join us for this free webinar hosted by Asha Pandey, Chief Learning Strategist at EI Design, on how you can use Next Gen Gamification solutions to address your varied corporate training needs. In this session, you will learn…. What are the benefits it offers for corporate training or serious learning? What are the Next Gen Gamification solutions? What are the key approaches in Next Gen Gamification solutions that you can practically use? The session includes a showcase of examples that illustrate how you can use Next Gen Gamification solutions across your varied corporate training needs. The post [Free Webinar]How To Enhance Your Corporate Training With Next Gen Gamification Solutions – Register Today! appeared first on eLearning. In this article, I share a use case on how to use gamification to engage your disengaged employees and provide better motivation plus a stickier learning experience. 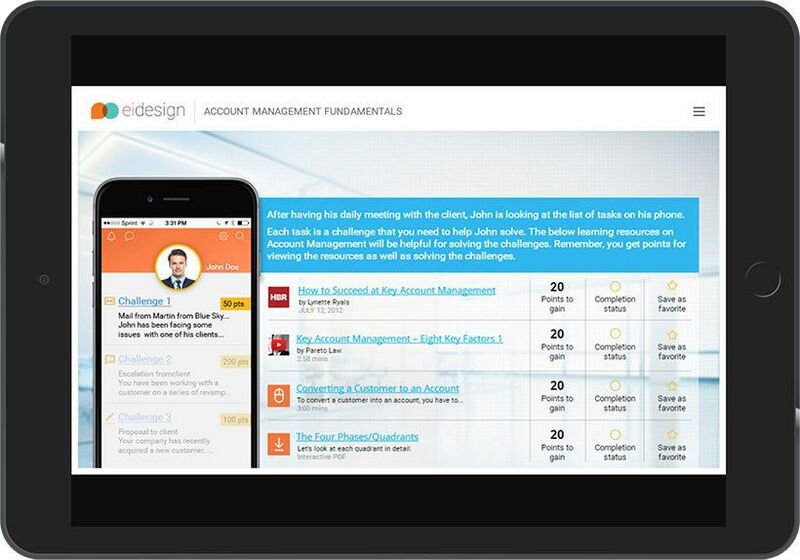 The use case showcases how gamification aids you in creating a high impact training. Introducing a series of use cases by EI Design on various facets of online corporate training to create a more immersive learning experience. See how you can leverage on these use cases to enhance the impact of your online training. The problem of disengaged employees is very real and poses a persisting challenge that can defeat the purpose of a training program. Despite millions of dollars on training spend, L&D teams often lament on this challenge. So, the question is what learning strategies will excite the learners and deliver the desired learning experience and performance gain or even trigger behavioral change. Gamification In Corporate Training To Your Rescue! If you were to ask an employee the top two things that motivate him or her, you are likely to hear recognition and rewards. It comes as no surprise that what motivates employees needs to be part of the learning strategies so that we have an engaged and motivated audience for the training. This is where gamification for learning fits in, and I will showcase this in the gamification use case later in the article. What Is Gamification And How Can It Be Used Effectively To Step-up The Online Training Impact? Gamification in online training involves the use of gaming principles to create an immersive and engaging learning experience. It helps learners engage better, it is immersive, and creates a higher recall, retention, and application of learning on the job. Game mechanics: Our gamification practice focuses on its use for serious learning so that at the end of the learning journey, the learner meets specific outcomes. I will showcase a few of these techniques in the gamification use case later in the article. How Can You Use Gamification To Impact Learner Performance And Behavior? Besides being fun, engaging, and motivating, the right usage of gamification techniques in online training help you meet the stipulated learning outcomes. The usage of gaming elements provides an immersive environment for learners wherein they learn and have fun. It helps them practice safely as they understand the implications of their choices. Such learning experiences help them retain knowledge better than traditional learning strategies. Instant feedback helps learners understand if their decisions were right or wrong. Furthermore, gamification uses concepts of spaced repetition, which is an effective approach to bring about the desired change in their behavior. Great use cases of gamification include induction and onboarding, soft skills training, professional skills training, product training, sales training, and even compliance. Badges, awards, and leaderboards draw diverse learner profiles, typically have higher engagement, and demonstrate better completion rates. 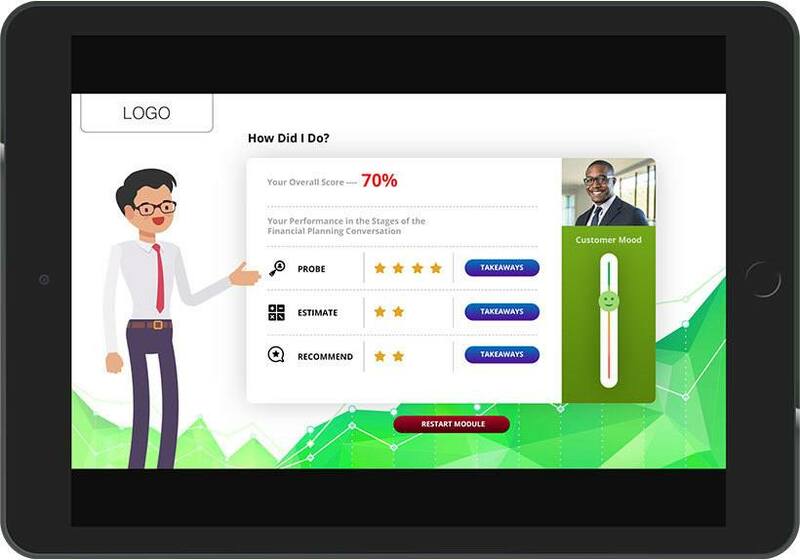 Now, I share a gamification use case that features a combination of gamification and microlearningrendered in a gamified learning portal format. 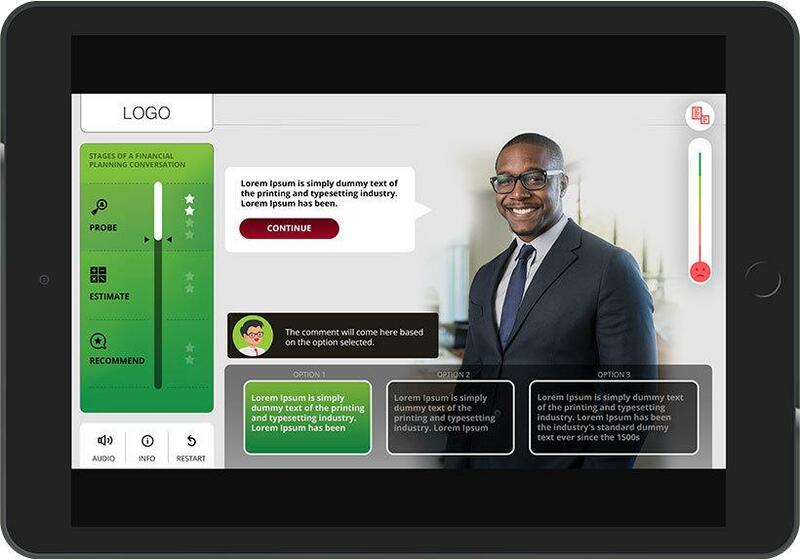 Designed primarily for the millennial workforce, this gamification use case shows that the approach resonates well with other learner profiles too. The learning nuggets are provided to the learner through a gamified path and the assessments feature diverse formats of gamified quizzes. We had been using a face-to-face training delivery for our Induction and Onboarding program since our inception in 2002. In the early years, when the team was small, this approach worked well and enabled us to complete the exercise in time. With the significant involvement of key stakeholders, the program delivered a high-impact training and built strong bonds with new employees. Nearly 6 years ago, we changed the model to a blended format, with a significant part of the training going online, and this did offset some of the challenges. However, after some time, I started getting feedback from our Head of Operations and the HCM team that the program was not delivering the desired value anymore. In the last 3 years, our learner demographics had changed dramatically to include millennials – over 70% of our team is now millennial. They found the approach a bit too prescriptive, flat, and not engaging enough. What Is the Solution That Can Deliver The Required Results? We went back to the drawing board and created a learning design that will appeal to both learner profiles, millennial and non-millennials. Additionally, we wanted to select an approach that will have a longer shelf life. Furthermore, it should enable us to update individual nuggets with ease so that we can keep the information current. 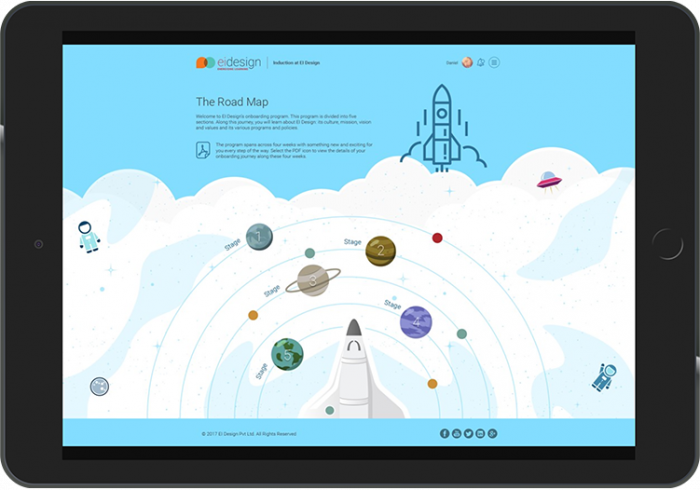 The induction and onboarding journey features 23 microlearning nuggets in varied and very interesting formats. I have selected a couple of nuggets that use a Virtual Reality (VR) and animated videos based approach. Resounding positive feedback that the program is engaging, relevant, and in sync with the expectations of modern learners. They also liked the flexibility to review the microlearning assets on their smartphones. Across the board, we got great feedback from our surveys and through online comments on the microlearning nuggets (what they liked). We got back to a timely cycle of completion of the induction and onboarding program and, thereafter, a better assimilation of the new inductees as per our plan. I hope this article and the featured gamification use case gives you adequate insights on how you can convert your disengaged employees to highly engaged and motivated employees through the stellar combination of gamification and microlearning (as a gamified learning portal). Not only can you apply this approach to your induction and onboarding program, but it also can easily be adapted to your other corporate training needs. The post Gamification Use Case: How To Offset Employee Disengagement With A Gamified Learning Portal Approach appeared first on eLearning. Compliance trainings have been a significant part of corporate trainings for a long time now, they have been in the online format for the last 25 years. There have been a lot of changes since then in the way learning strategies are structured. And, compliance trainings have not yet used any new strategies to enhance the experiences of the learner. Usually, compliance trainings are mandatory programs, and learners are never enthusiastic about taking them up. most compliance trainings also tend to be dreary, making it harder for learners to remain engaged. 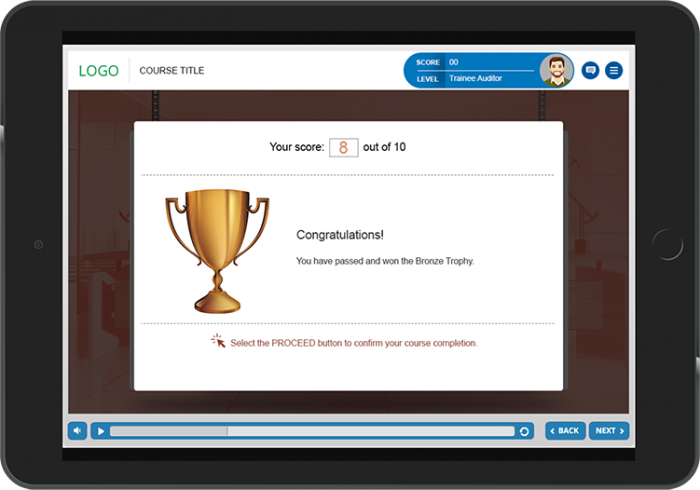 one way to make sure that learner receive a whole compliance training experience is by using gamification. by implementing it effectively, gamification can create a sticky learning experience and high engagement, high recall and higher retention, and correct application. The following are 4 examples that organizations can use to look at how gamification enhances the effectiveness of compliance trainings. Adopting a gamification approach in compliance training has multiple benefits for both learners as well as the business. It helps learners gain a higher level of engagement and an immersive experience that boosts learners to take the course with interest and enjoy the learning journey. From a business perspective, it instills the spirit of ’why comply.’ It also leads to the required behavioral change. Organizations will see more positive gains as they start applying or enhancing the existing approach by using these examples in their corporate trainings. The post 4 Must-see Examples of Gamification of Compliance Training appeared first on eLearning. Gamification is used extensively to create sticky learning experiences, and compliance trainings too can use it to influence user behavior and create higher conformance. In this article, I share 4 examples of gamification for compliance training. To meet the mandates of the government or regulators, compliance trainings continue to be a significant part of any corporate training. Over the last 25 years, the compliance trainings have been offered in the online format. During these years, the learning strategies to craft online trainings have undergone a sea change. Yet, till recent times, the compliance trainings have not embraced many of the new learning strategies that can help the compliance mandate (understand the significance, impact non-conformance, and trigger the required behavioral change). Since our inception in 2002, at EI Design, our focus on designing compliance trainings with approaches that are engaging (and often “out of the box”) has helped us create a large compliance practice. Till date, one out of six courses on the floor is for compliance training. A set of approaches that can help organizations see the required behavioral change (we call this our 4-tiered online compliance strategy). The usage of several engaging learning strategies including gamification, scenario-based learning, story-based learning, and so on. Our unique 4-tiered online compliance strategy. 4 examples of how you can adopt gamification in compliance training. When adopted in conjunction, you will see more engaged learners, higher retention of information, and over a period of time, you will see the required behavioral change that your compliance mandate requires. Why Do You Need To Relook At The Approach To Offer Compliance Training? Unlike other trainings that help learners improve their skills or acquire a new skill, the compliance trainings are “mandatory” programs. The learners have no intrinsic motivation to take them up. On top of this, most compliance trainings tend to be boring. A majority of them follow traditional approaches (read “bland and not engaging enough”) with a heavy dosage of prescriptive dos and don’ts that do not go well with adult learners. Furthermore, the information is not provided in a format that learners can internalize easily and push them to do the right thing (particularly, when they are in a dilemma situation). Creating awareness (to offset the lack of intrinsic motivation). Using better learning strategies that engage learners and push them to think and analyze the consequences of certain actions (to engage the learners and ensure a sticky learning experience is created). Retaining a connection with the learners (even after they have completed the required training) through learning aids (Performance Support Tools or PSTs) that offer reinforcement and related updates. Over a period of time, this would lead to the required behavioral change. At EI Design, we have translated this approach to the following 4-tiered online compliance strategy that you can use. For the longer-term goal of the required behavioral change, we have seen initial success with the use of Performance Support intervention. We use learning aids (Performance Support Tools or PSTs) that provide the required support to reinforce the primary learning and aid in triggering the right action (in a dilemma situation). Here too, we use interesting and high-impact video-based formats, as well as interactive PDFs and interactive infographics. We need to eventually see the learners undergo the desired behavioral change to sustain the required compliance. One measure is to create communities of practice that focus on your various compliance training programs. Through this, you can continue to interact with learners after they have successfully completed the mandated training. Using Strategies Like Gamification In Compliance Training, What Tangible Gains Will You See? Now, I pick 4 examples from our vast repository of solutions featuring gamification in compliance training. A gamified compliance course where the learner is part of a fictitious team and is assigned tasks (content exploration) that are associated with challenges (decision-making). Use of relatable context and characters with a fully gamified assessment enhances learnability and promotes sticky learning. The scoreboard and levels achieved during the training ensure constant learner motivation. 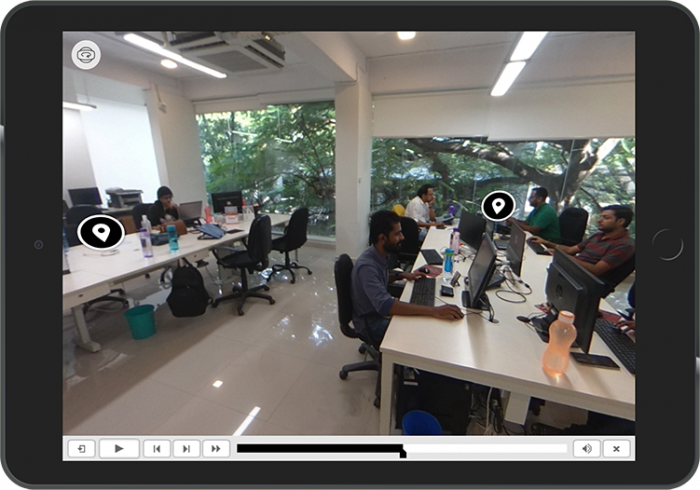 A gamified learning journey where the learner is immersed into the content by choosing an avatar and traveling from one location to another in an office space. The learner, on successfully attempting an activity at the end of each location, was provided with an access card to move to the next location. A gamified compliance course involving fictitious islands that a learner needs to cross to reach a destination. On each island, the learner has an option to take a tour (content exploration) or take a challenge (quiz questions). This increases the engagement quotient, as learners have greater control over their own course of learning. A gating criterion with required accuracy ensures adherence to the overall compliance mandate. 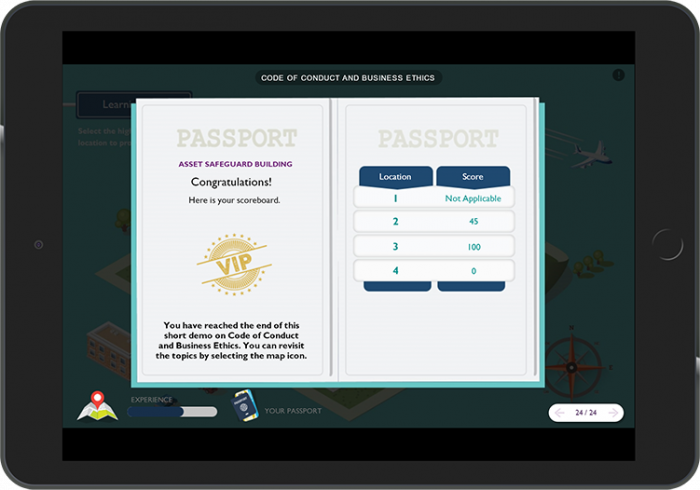 We converted this course on Code of Conduct into an immersive game-based learning experience where learners had to explore a city and find the key to the code document. At each stage of the course, they were challenged using real-life situations, and they had to make decisions that would have a bearing on their points and the level of expertise achieved in the topics. I hope this article gives you compelling reasons to adopt gamification for your compliance trainings and the featured examples show you the possibilities. Furthermore, I hope our 4-tiered online compliance strategy can add further value to your current approach. The post How To Use Gamification To Enhance Compliance Training – Featuring 4 Examples appeared first on eLearning. Will Gamification Work for Everyone? Gamification’s benefits are reported to include rapid feedback and higher levels of engagement and excitement. For as long as I’ve been involved in learning, educators have searched for ways to move beyond passive learning (e.g., classroom lecture) to more active learning, and Gamification seems to move learning in that direction. While recently reviewing opinions on goals and competition, I began to wonder if there were situations where Gamification was not the best technique to use and could actually interfere with learning. This blog post looks at how learning objectives, individual differences and group culture could impact the effectiveness of Gamification. Having played digital games when I was younger, I personally think that the competitive nature of Gamification sounds fun. However, could the competitive nature of Gamification interfere with the achievement of your learning objectives? Much has been written on the impact of competitive and cooperative goals on outcomes, and I’ve included some of the foundational articles I’ve read below. In general, they all seem to agree that competitive goals can lead to less information sharing and higher negative attitudes toward others. If you’ve seen the movie “Glengarry Glen Ross”, based on the Pulitzer winning play by David Mamet, you’ve seen a good illustration of how a group of ruthless salesmen do anything but share information and certainly develop “negative attitudes” toward each other. If the objective of your instruction is to increase cooperation, as in encouraging participative decision making, techniques that increase competition among participants may not be the best choice. 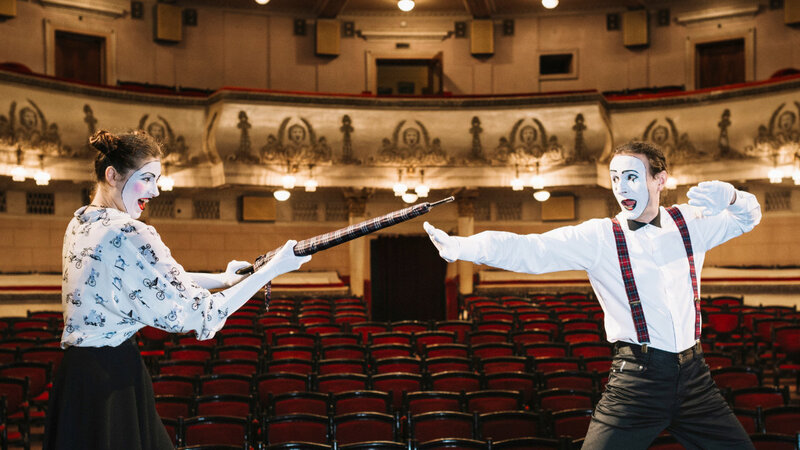 We all have a friend or acquaintance that can turn a walk in the park into a cut throat competition. If you don’t know such a person, it could be you. The point is that people have different attitudes and reactions to competition. One of the more interesting ways people react to competition, especially if they are continuously given information they are not doing well, involves whether they believe their abilities are fixed or malleable. Learners who believe they can change their abilities tend to remain motivated even when doing poorly. In contrast, those that believe their abilities are fixed tend to disengage when they don’t do well, even if they are capable of successfully completing a task. Since effective instruction involves high levels of engagement and motivation, being mindful of individual differences could make Gamification more effective. For example, Gamification could be used as a course or module ice breaker, instead of being used to track all lessons. Its been my experience that some organizations seem to thrive on competition, particularly those involved in sales. In fact, one direct sales organization I worked with pretty much had Gamification elements incorporated in their daily work routine, including a digital leader board that tracked sales progress on an almost continuous basis. Other organizations and departments seem to thrive more on cooperation and information sharing, especially if their work involves innovation and problem solving. For example, one organization had a new product development team whose meetings were driven by sharing ideas in order to reach a common goal. Gamification holds promise for adding excitement to eLearning efforts. However, time will tell if it works well for every learner and every situation. In the mean time, learning professional might well consider learning objectives, the learners attitude toward their own abilities and the cultural context when using Gamification techniques. Some individuals and groups may well thrive in the Gamification environment, while others may require more encouragement or have difficulties learning if they focus too much on competition. Ames, C. (1992). Classrooms: Goals, structures and student motivation. Journal of Educational Psychology, 84(3), 261-271. Deutsch, M. (2006). Cooperation and competition. In M. Deutsch, P. T. Coleman, & E. C. Marcus (Eds. ), The Handbook of Conflict Resolution: Theory and practice (23–42). San Francisco: Jossey-Bass. Farrell, J.N. (2017). A Model of Gainsharing: Culture, Outcomes and Employee Reactions (March 12, 2017). Social Science Research Network. Tjosvold, D., Wong, A.S.H., & Chen, N.Y.F. (2014). Constructively managing conflicts in organizations. Annual Review of Organizational Psychology and Organizational Behavior, 1, 545-568. Dweck, C.S. (1986). Motivational processes affecting learning. American Psychologist, 41, 1040-1048. The post Will Gamification Work for Everyone? appeared first on eLearning. Successful corporate eLearning is all about engagement. Games, when used in eLearning, make online training fun, entertaining and engaging for learners. In this article, I will discuss a case study on a gamification solution that we delivered, which resulted in better learner engagement. A Case Study On Gamification: Taking Corporate eLearning To The Next Level! A well-crafted game can help learners remember the content thanks to its engagement quotient, and transform online training courses to enjoyable online training experiences. Regardless of your performance goals, employee needs, or online training objectives, games are a great addition to any corporate eLearning strategy. In my previous article on 5 key benefits of enterprise gamification, I have discussed various aspects and benefits of gamification. In this article, I will be discussing a case study on gamification in corporate eLearning. Our customer, an IT major, wanted us to develop a course on risk management with a different strategy than a regular corporate eLearning solution. The main requirement of the customer was to create an engaging and interesting course. Though we initially bounced a few ideas on the best possible strategy, we agreed on implementing a gamification strategy for the course. We developed a few mockups with a scenario and gamification elements to demonstrate the flow of the strategy. For this game, we chose the single player option, wherein the learner fills in their name and becomes the player. As the learner becomes one with the character in the game, the experience becomes more personal. Which is a truly great way to learn and retain information. The feedback for activities is personalized for each learner. Different interactivities were built to make the gaming experience more immersive. Thus, learners tend to learn better in an experiential manner. The course begins with an intense situation, wherein a company’s Vice President is in a pensive mood, as the company has faced a risk-related incident twice in a very short span. While browsing through a news website, he finds out about the launch of a new risk management application by another company. He finds that quite promising and contacts the company’s risk management team to help his organization. Upon receiving the information from the prospect, the team immediately meets and makes plans to implement the tool to see if it can help in auditing and containing risks. After the scenario, the learner is informed about the mission and the various levels that they need to clear to accomplish it, through a case study. Each level takes the story forward along with a perfect blend of visuals, interactions, and reading material. These are then followed by a series of activities for the learner to apply what they have learned. Each activity is timed, and the learner will earn points for answering the questions correctly. The learner receives a badge for completing each level. Unlike other game-based eLearning, this course has the “just right” amount of interactions that give the learner an engaging learning experience. 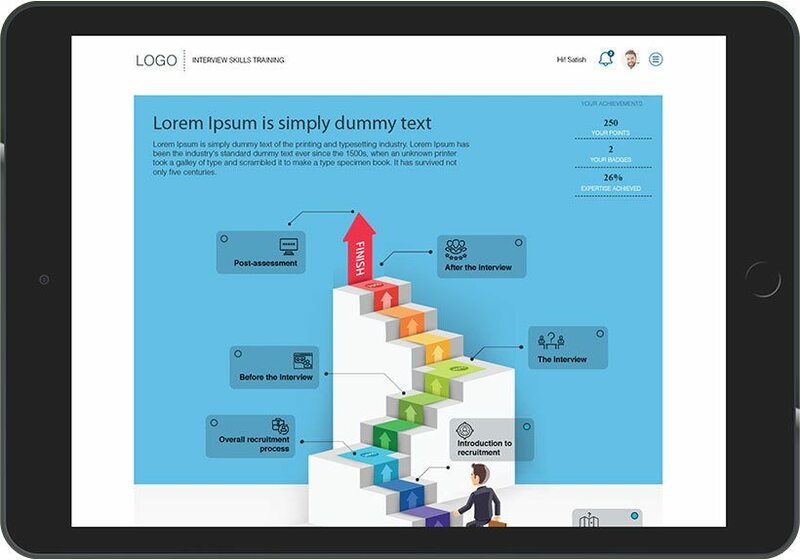 This way, we took corporate eLearning to a higher level. Once the course structure was finalized, we went about creating a storyboard and proof of concept for the customer. 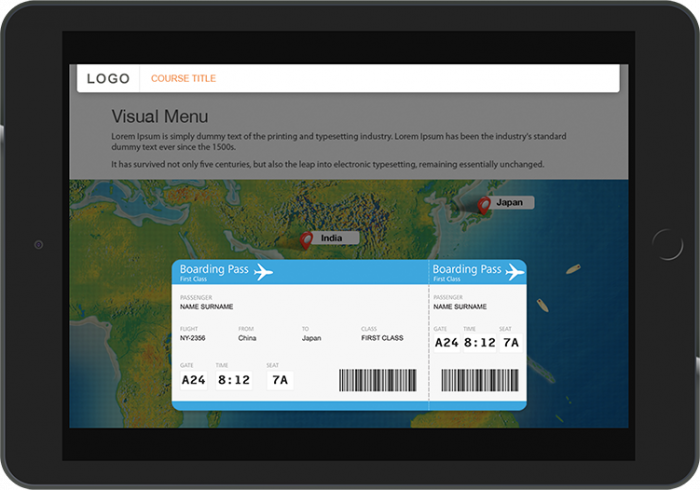 This included the learning approach (game-based eLearning), mockups of the User Interface, design, and concept guidelines. A small working prototype of the game was created after the mockups were approved. This was submitted to the customer for review. We basically provided the functional insight into the course that was being developed. After a number of iterations and discussions with SMEs, a final storyboard and design were decided upon. Following the storyboarding, the game was designed and developed using the agreed authoring tools as per the standard corporate eLearning practice. We dedicated resources and experts who have a great deal of experience in developing game-based eLearning solutions to develop the content. Once the game was developed, we took a step forward in “pilot-testing” the course to a few users. The main purpose of the pilot test was to analyze how engaging the course would be on a large scale. Most of the participants in the test found the course to be compelling and engaging. After robust testing, the course was rolled out organization-wide. The gamification approach was used for the first time in the organization, and it increased the completion rate from an average of 32% to 67%. The customer also found that the training helped learners with better retention of the concepts and better application on the job. This was a great benefit as compared to the benefit that a standard corporate eLearning approach would have accrued. The game-based eLearning approach was an interesting way of reaching out to such a dynamic group of learners. Not only did it achieve better adoption, it also provided a good learning experience that suited the needs of learners, as well as aligned well with the organization goal of creating impactful training. How To Use Game-Based eLearning On Mobile Devices Effectively? The post A Case Study On Gamification In Corporate eLearning appeared first on eLearning. How Is IoT Establishing The Modern Classroom? Artificial Intelligence Enhances The Learning Process: How Is That Possible?